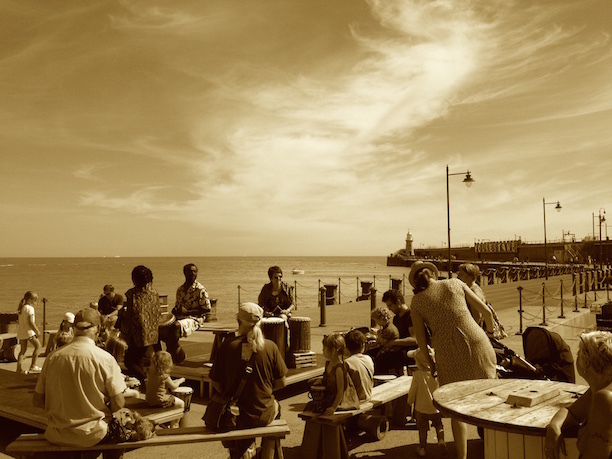 Isn’t it time we valued Folkestone and Hythe’s social history? We all know about the Leas, Royal Military Canal, Romney Hythe & Dymchurch Railway and other local heritage stalwarts, but what about the stories of the real people who have lived in and passed through our towns for centuries? Over the years I’d forgotten about my love of history, what with all the working, gadding about and starting a family. Lately I’ve been lucky enough to indulge my history geekery and help out at three heritage organisations in Kent. As well as being top class material for sitcom writers, the last six months as a volunteer have been quite an education. Firstly, I’ve discovered what an amazing and broad range of community and cultural ‘stuff’ is going on all the time across our villages, towns and cities. Stuff, that if you’re working hard at the 9 to 5 and/or family life, you’ve probably missed. Much of this is powered by supreme, super-motivated community-minded people – some employed in this capacity and many of them volunteers who have a bit of time and care enough to get stuck in for free. One of the projects I’ve been involved in is Step Short, a First World War charity devoted to remembering the soldiers and nurses who passed through Folkestone between 1914 and 1918. As far as I can tell, until recently the seaside town’s role in the Great War was largely ignored, aside from a few military historians and the annual Remembrance Day services. However this began to change when community groups started gearing up for the 1914 centenary commemorations. 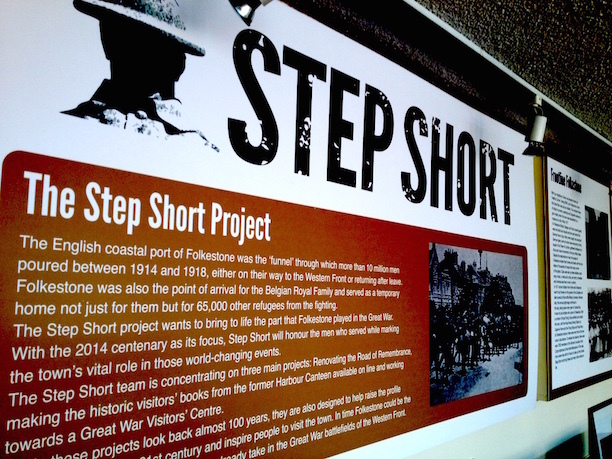 Step Short was established in 2008 when members of the Go Folkestone Action Group decided that improvement of the historic Road of Remembrance area should be a focus for the First World War’s 100th anniversary. A real turning point was the discovery of some old visitors’ books in the East Kent Archives Centre in Dover in the same year, by historian Charles Fair. Books which just happened to contain the signatures, comments and poetry of thousands of WW1 servicemen and nurses, written as they tried to savour a final cup of tea and slice of cake in the Harbour Canteen (also known as the Mole Cafe) before sailing across the Channel from Folkestone to the Western Front. Wow! These eight volumes of precious wartime history were carefully bound after the war, catalogued and then forgotten. Within their leather covers are an estimated 42,000 names, including normal soldiers, sailors, nurses, generals, politicians and even King George V; and perhaps the key to unlocking thousands of untold Great War stories. Step Short realised the significance of this find for Folkestone and by January 2014 they had successfully transferred the Mole Cafe books online, finally making them accessible to millions. This took years of scanning (by Kent County Council) and transcribing by volunteers. 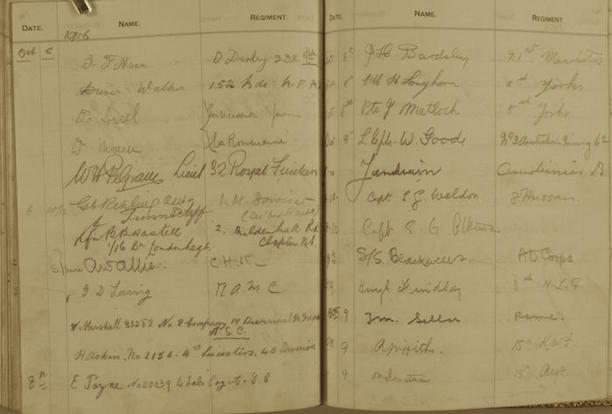 At the time the charity’s chairman, Damian Collins MP, noted that digitisation of the visitors’ books had taken longer than the First World War itself! I grew up in the area but somehow had missed this powerful and poignant piece of local history. Step Short has a staggering amount of unique WW1 material and resources, having worked with local and military historians including Michael George, Charles Fair and Alan Taylor. How many local people, let alone those from further afield, know about this? Despite the Mole Cafe books and all the charity’s hard work to install the stunning Memorial Arch on the Leas in time for August 2014, the first I’d heard of Step Short was when the newly restored Folkestone Harbour Arm opened in the summer of 2015. Along with all the brilliantly cool events, restaurants, food trucks and lighthouse champagne bar, the modest Mole Cafe was given its rightful place in its original wartime home on the railway pier. Volunteers in period dress sell mugs of tea and coffee and slabs of cake every weekend during the summer season, and have been going down a storm. It’s heartening that the big bosses value this little historical gem, despite it not being a money-spinning hipster hangout. Originally Step Short had ambitious plans for a visitor centre, a fantastic glass construction emerging from the cliffside. Somehow over the years this vision has been lost (or reluctantly packed away) and since 2011, Step Short’s hub has been the uninspiring old tourist information office in the Harbour car park. An interim location long past its sell-by date. Wouldn’t it be wonderful if Step Short was given more space on the Harbour Arm as the old railway station is restored? Imagine the moving tales that could be told here in a real visitor centre, right where it all happened? 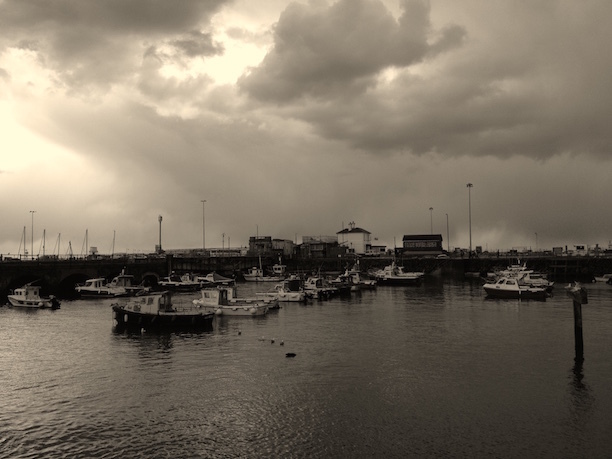 And the centuries-old Folkestone fishing community would be right at home here too. The seasonal Fishing and Heritage Museum is currently housed in the tatty Old Booking Hall near the Harbour Arm car park. Yet a spot on the restored Harbour Arm would be so fitting, and appealing to visitors. 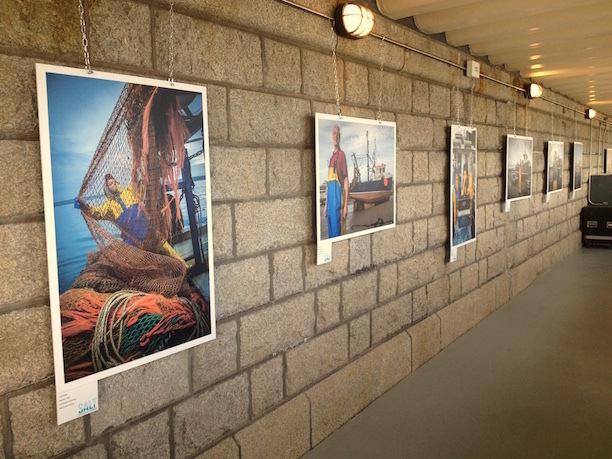 The recent Salt Festival Folkestone Trawlermen exhibition by photographer Andy Aitchison was a good start; and the very exciting new Folkestone Museum will feature the town’s fishing heritage. I’m sure I’m not the only one who has thought about this over the last few years, and naturally I am completely clueless about any discussions and negotiations that have taken place between the powers-that-be. I’m just a volunteer after all. Let’s invest in Folkestone’s often undervalued heritage. It’s not only the likes of Whitstable, Margate and Hastings that have a local culture worth celebrating. And why not also pay a little more respect to Hythe’s social history? This little town owes much to generations of fishing families too; and is so much more than a canal, a light railway and some old skulls.